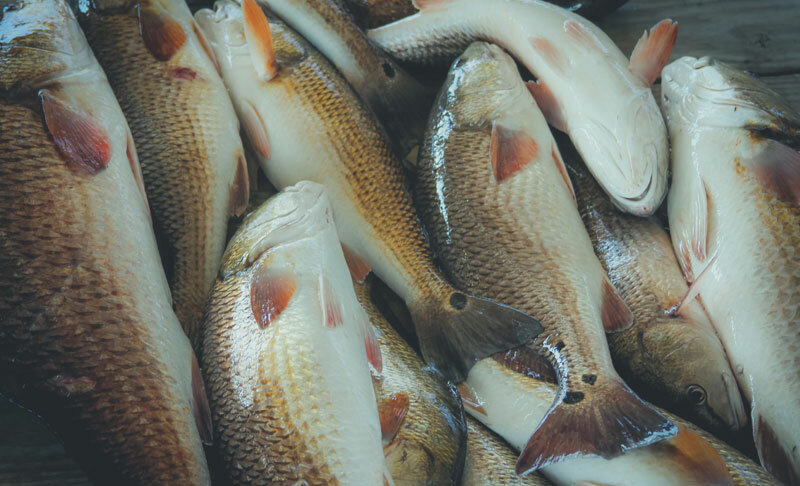 Lots of redfish are still biting here in Delacroix, LA. I guess the redfish are getting ready for Mardi Gras season too! 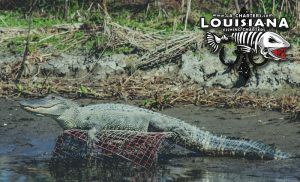 It’s always a magical season this time of year in New Orleans as the Mardi Gras parades kick off and backyard crawfish boils start popping up all over town. 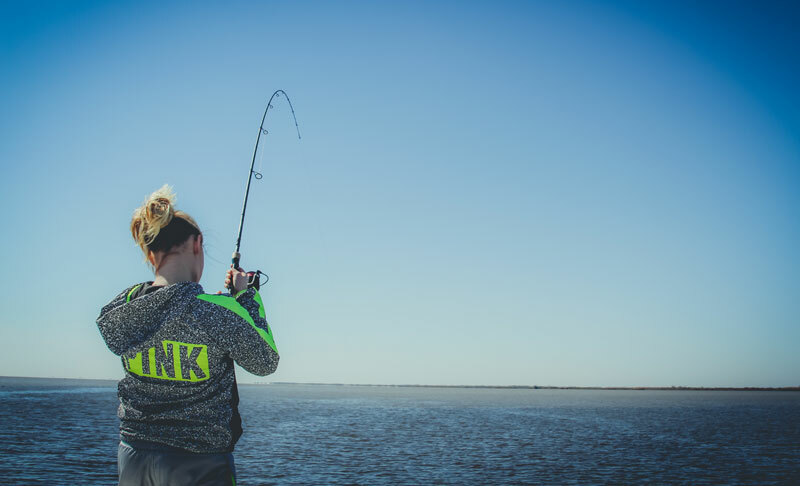 To top that all off it can be some of the most comfortable fishing days of the year. We will have many day stretches of temps in the 70’s due to our mild winters here in South Louisiana. The early morning bite has not been much lately. The bite has been picking up later in the day as the water warms up. Because of all the dirty water in Delacroix right now I am using dead shrimp to attract fish. I find the dead shrimp emit more smell than the live shrimp do, so I am using the fish's sense of smell against him rather than his sense of sight. The water clarity has been too poor for fish to see very far. If you're going to be heading to Delacroix anytime soon, try an afternoon if you can. The warm air temps and sunlight warm up the water and fish feed more actively during this time. I recently had a fun charter with this couple. As usual the girl out fished the guy! 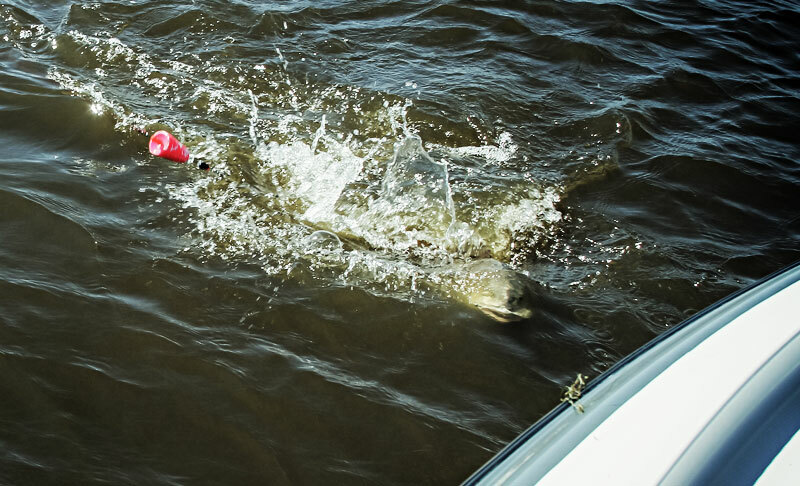 She really had a knack for catching redfish. 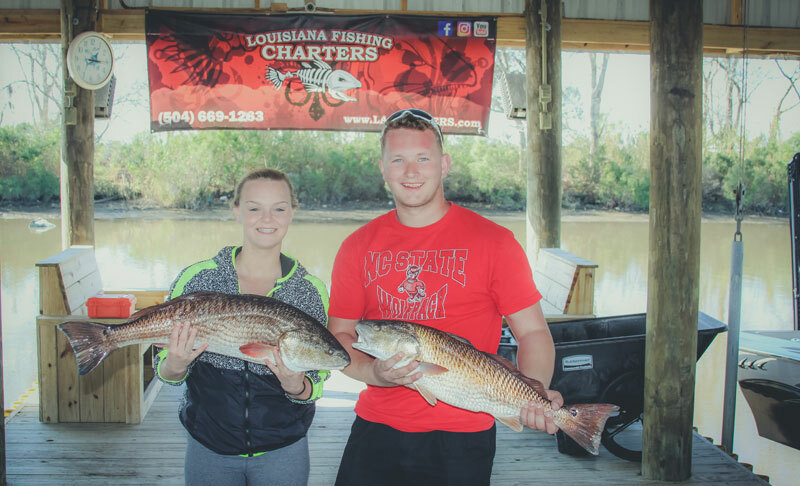 Charter fishing can be a great activity for married couples and a unique date to spice things up a bit. 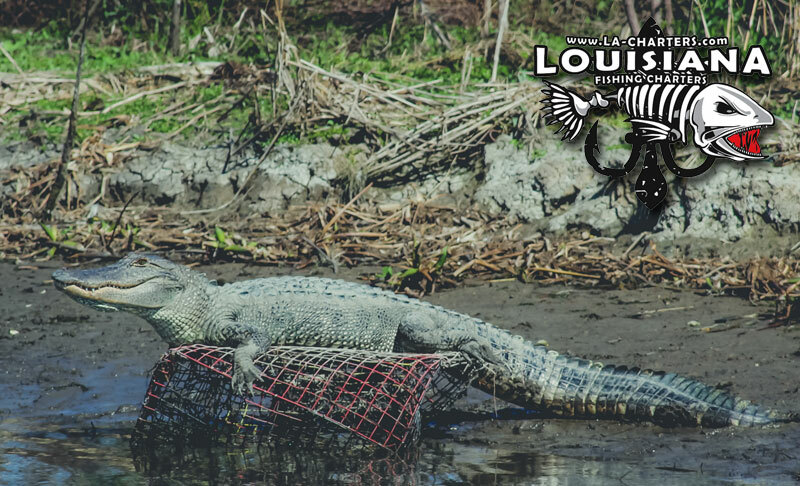 After a full day of catching and a full cooler of redfish meat to take home, they left Delacroix in search of some fine New Orleans cuisine. Lucky for them I am a man of many tastes, so when you charter fish with me I can recommend a lot of good places to eat around town. 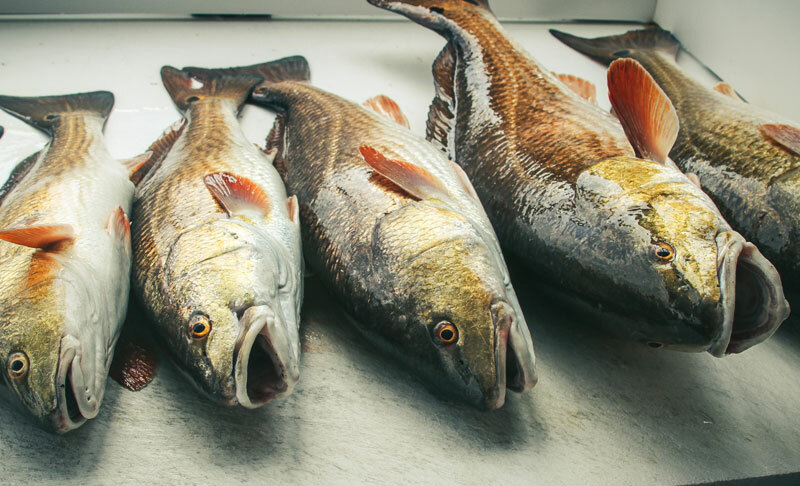 Delacroix is just a short 30 minute drive from the French Quarter so you can finest cooking in all the world in the same day you experience our world class fishery.